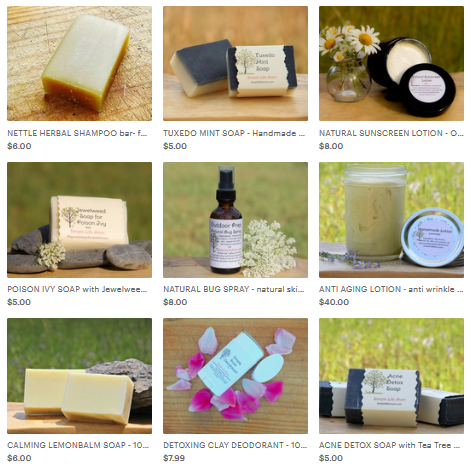 Of course you can always try %100 Natural Soap bars from my Shop as well. Weigh and melt your fats in a large pot. Weigh essential oils according to recipe, set aside. When fats and lye both reach about 100° F, pour lye into pot of oil and stir. Use blender on 5 minutes, stir by hand 5 minutes, etc. on and off until trace. Add essential oils and any natural coloring agents or textures, stir very well. Pour into mold and incubate for 24 hours. Let air out and harden. Use after 4-6 weeks. Fats and oils. These go in one pot. These are things like lard (pork fat) or tallow (beef fat), coconut oil, olive oil, and palm oil. I don’t like to use crisco or vegetable oil because of their soy content, pesticide residue, and preservatives. Lye crystals and water. These will be combined to make “lye water” in a separate dish from your fats and oils. If you are trying a milk recipe you will often add it here in place of some of the water. Essential oils and other Ingredients. These will be added at the last-minute for smell, color, or texture. This also includes honey and salts. Hand mixer. A stick blender helps it come to trace faster. Different fats add different qualities to your soap. For example, coconut oil will help create a lather, while castor oil is great for bubbles. For a great outline of oils and their uses in soap (and all kinds of other great info. ), see this website: Soap Making Essentials. The first thing you need to know if you’ve never made soap is that your ingredients are weighed, not measured. And they need to be precise! Of course, the smaller the batch, the more precise you need to be. I purchased a relatively cheap digital scale (like this one) that lets you set your bowl on the scale and reset it to zero so that you are only measuring the ingredients and not the bowl (less math). Use a rubber spatula to scrape all the little bits into your large stainless steel pot. Be precise. I searched and searched for lye at a local store. Apparently it’s also used for making some type of illegal drug as well, so a few people gave me weird looks and asked why I wanted it. Really? Anyway, I found it in the plumbing section of an Ace Hardware store for a little over $3 for 16 oz. You have to get the pure crystals, not some liquid concoction! If you don’t want to search everywhere you can get some on Amazon. Lye’s real name is sodium hydroxide. It is originally derived from ash (We can easily gather a different form that makes a softer soap called potassium hydroxide or potash from firewood ashes). It will react with water. The chemical reaction produces an invisible gas and heat! Blasting your lye water mixture to a whopping 200 degrees F, depending on your starting water temperature. I measure the lye into a plastic bag and the water into a medium sized plastic container. This way I remember to pour the lye into the water and not the other way around. If you pour water into lye, the lye to water ratio is so high that the lye can explode (so I’ve read…and I don’t want to test it). I go outside and pour the lye into the water and stir. I even did this in a snow storm once (I should have taken a picture). Once the lye is dissolved there are no more fumes. This only takes about a minute (I usually stir while holding my breath and then run away). After it is all dissolved you can take it inside very carefully. If it gets on your skin it will feel itchy long before you notice the damage it is doing. It will burn your skin if you don’t wash it off. Lye also reacts with aluminum and iron. Do not use utensils with those ingredients or the lye will slowly eat away at them. Use stainless steel, plastic, or glass. I recommend using safety glasses, a long sleeve shirt, gloves, and a mouth mask. This may seem silly, but the first time I made soap I didn’t have any of these things. Let’s just say, when you breathe in lye fumes it literally takes your breath away. Also, later when you blend the lye with the oils some tiny bits can splash up onto your arms and begin to burn you. Don’t be scared though! Just keep the kids out of the kitchen and treat it like you would bleach – you don’t want it on you. Temperatures are important! After all, you want a chemical reaction to occur. The fat molecules need to be blasted open by the lye molecules, converting both molecules into soap. You will have to heat up your fats in order to get them up to around 100F degrees or to melt the hard fats. I try to have my oil AND lye right under 100F (95-100) before I add the lye water to the fats. It can be a bit of a juggle to get both your lye water and your fats/oils to the same temperature. If one is cooling faster than the other, just give it a cold water bath by running some cold water in your sink and placing your pot or plastic container in it. If one is cooling down too fast, then cover it or pace it in a hot bath so it stops cooling. Be precise and you won’t have to guess about what went wrong. Instead, the only thing you’ll have to worry about is if it’s ready to pour yet or not. Trace is what it is called when the soap is ready to pour into the mold. It leaves a “trace” behind on the top of the mixture. You will usually see the soap turn a creamy color and will feel it get thicker as you stir. Use your big spoon to drizzle a little on top of the mixture. If it sinks right in, then it’s not ready (Though, the first batch I made never left a trace that I could see and I thought it was not going to set. It set up beautifully. Now I know that’s how Castille Soap often behaves.). If you look at it with the light reflecting off of it and you can see the drizzle leave a little path on the top, then it has gotten to light trace. If it starts to become like thick pudding then it is at full trace and needs to be poured quickly! You don’t want it setting up in your pot. As recipes get more complicated, there are more things that might be added in at the last minute. This is after you combine the lye water with your fats, it has come to trace, and it is ready to pour into the mold. 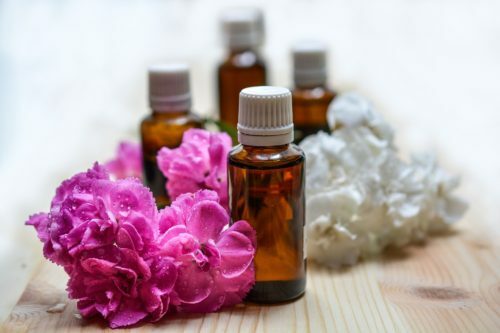 If you want true oils and not synthetic chemically made smells, stick to Essential Oils. For more information on the differences see my article on Essential Oils vs Fragrance Oils. Most recipes will give you the amount of Essential Oils to add that’s good for that size batch. Though, this can vary depending on the essential oil since some are more potent than others. Use it as a guideline and then after you stir it in see if you can smell it. I don’t like my soap to have a strong scent, but others do. Use what you like! Yes, It’s a funny position, but it works. You have to have something to put it in for it to set up. Want some frugal ideas? a plastic container, but I had a hard time finding one that wasn’t rounded or ridged on the bottom or sides. Pringles cans – peel off the outside when it sets. I was worried about getting my soap out of my plastic container that I used with my first batch and I lined it with plastic wrap. I’ve seen pictures where people have done this. It did not work out well! Even though I tried to get out all the wrinkles, I apparently did not and it was folded into the soap where if I pulled, it tore and was stuck into the soap a little. It also made tons of wrinkles! My favorite liner? Wax Paper!! Works great! So, once you’ve lined your mold with wax paper (if necessary) and poured your soap into it. Give it a slight jiggle to make sure it’s all settled evenly. You’ll want to place it on a very even surface for the first 24 hours or you will have crooked soap. Cover in towels to help keep the heat in (remember that chemical process). Obviously, I use less towels in the summer and more in the winter. Below is a picture of my soap box in a plastic container in the winter. Yes, my house is freezing during the winter!! In the summer I just drape 2 towels over the box. Soap needs to be incubated for a 24 hour period. After it is poured into a mold, place on a blanket (or towel if it is a small batch), and place blankets all around it. After the 24-48 hour period check to see if it is set. If set, you can take your soap out of the mold and cut. 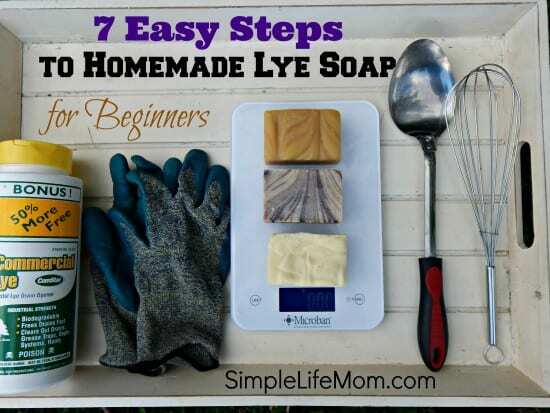 Lye soap is not ready to use at once. The lye has not finished converting the oil molecules into soap molecules. If you use it right away, it may quite possibly burn your skin. The longer it sets the more mild it will get, the harder it will get, and the longer it will last. I heard it compared to cow manure once; it stays hot because of the decomposition of its contents, but give it enough time and it will become as mild as good dirt. So, cut your soap and let it cure for 4-6 weeks, turning occasionally so that all sides dry out. The only downfall is that over time your essential oils will grow fainter, but I’m talking a few years or so before you may notice a difference. One idea is to use a plastic storage bin with drawers like this one. This way, you can semi cover them, but leave the drawer cracked open a bit for ventilation while they continue to cure. You don’t want to leave them where there may be too much moisture and they will end up with mold over time. A nice cool dry place is great. Need Recipes? Check out my Homemade Soap Page for lots of great resources! Could you share with me where you got the wooden mold box as well as the divider inside of it? I am thinking of making soap and I thought that looked like a really good idea. I wasn’t sure if it was a box and divider that you made or it could be purchased somewhere. Thanks for any help and for sharing your knowledge on making soap. I got that mold from Brambleberry. I have two and absolutely love them. They both came with the ends falling off and I had to put some finishing nails in them to reinforce the sides, but that was quick and easy. They sell smaller ones as well. The one in the picture is for 36 bars. Thank you Kelly for that information on the mold. I’ll find that company and check it out. Thanks again and have a great week. Hello. Great article. I have wanted to make soap for awhile now, but am terrified to make the ‘jump’! this article has again made my creative side anxious to begin. A few questions: first, I noted that there was no picture ‘below’ showing your soapbox in a plastic container in the winter..
Good afternoon and thank you so much Kelly for your article. You stay true to your slogan, and as usual it’s a pleasure reading your publications. This was done in simple steps that us your viewers can understand and appreciate. Really a good read and makes me more excited to do soaping. Thanks again, and keep up the great work. God’s continued blessings on you and your family. Wow. What a process, but it looks terrific. Homemade stuff is always so good. When I was in high school our teacher taught us how to make soap. You brought so many memories to me! I always see sodium hydroxide as a listed ingredient in products. Now I know that it’s lye! Thanks for the details on making your own soap. There are many benefits to knowing what you are lathering on your body, and love that you can customize each batch! My sister used to make her own soaps and I loved each and every one of them! I love homemade soaps, and would love to make my own, thanks for the easy steps! Love this post. Have shared it on all of my social media. We have made soap several times. My grandfather even showed me how to get lye from wood ashes when I was younger. Thank You Gregg. Love your site – the Rural Economist! Great tutorial, thanks for sharing at Our Simple Homestead Blog Hop. Thankyou for your clear and consise instructions. I made a batch of castile soap (olive oil, rice bran oil and coconut oil) about 6 months ago. I t turned out OK but there are 2 things that I wasn’t sure was normal or not. First of all I use a handheld stick blender and found that my batch traced super fast, like a few minutes, it set up super quick as well which made getting it into my various moulds tricky. After about a day and a half I cut them up and placed on a wire rack in my cupboard to mature. I turned them regularly and used one bar after about a month. It was a bit soft so I left it a few more weeks. I still found it softish so left it a few months. While the soap is set I find that when I use it, it gets very soft and squishy after the first few uses. I just thought it would be harder. Does this sound normal to you? I’m keen to start making another batch soon for presents. Any suggestions? It sounds like your recipe used a lot of olive oil. This can make for a very soft bar. If you try a different recipe with less olive oil you should have a much harder bar. When it just starts to thicken get it in the molds. I have a number of recipes on my site. Let me know if you don’t find what you’re looking for. Thanks, I think you may be right. From memory I think the batch was 250gms coconut, 750gms olive oil and a smaller amount of rice bran. I’ve perused your recipes. First of all I was wondering if a shampoo bar can be used for the body. Also do you favour using part of your fat content in the form of animal fat? The shampoo bars can definitely be used as body bars. I do use animal fat. You can often ask your butcher to reserve fat trimmings for you for free or a few cents. Very good article. Would have been nice if the measurements for ingredients would have been included though? This is a general “how to” article. For a list of recipes using these methods, click on the Homemade Soap tab in the menu above. Hi Kelly, I really love your soap recipes…however i have not been able to locate how much water to use to dissolve the lye. Do you ever make your own lye from wood ashes. I have made several batches, but nervous to use it (and waste the fats and essential oils). could you please let me know how much water to use. Thanks! Water is going to vary, depending on your recipe. Do you have a specific recipe in mind? You can always put your ingredients (all your fats) in a lye calculator like on soapcalc.net and it will tell you how much water as well. I haven’t used lye from my own wood ash (potash or potassium hydroxide), but using it from what someone else has made – it makes a very soft soap. Find a specific recipe created for use of potassium hydroxide instead of sodium hydroxide. It will be designed for that difference. Very nice summary of how to make soap. 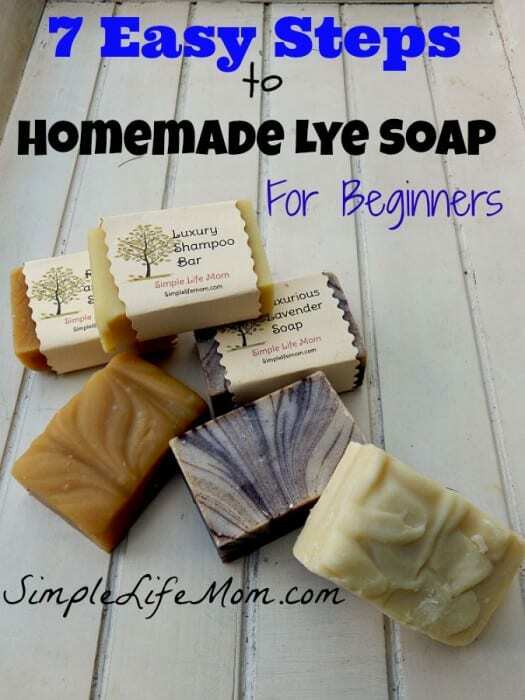 I’ve been making soap for years and I as so many others was fearful of the lye/liquid step of the process. Funny that the way you described it is exactly how I do it. Mix it up outside, holding my breath and run 🙂 Ok… I don’t run anymore, but I do move away quickly. The fumes are dangerous if inhaled. Use caution. Additionally, I too was nervous about the fats to liquid ratio. Find a lye calculator online (there are several good ones). This will take away the confusion and give you the best odds at a perfectly configured recipe. 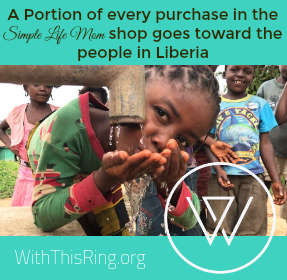 Remember too that every batch of soap can bring surprises. Some good, some… not so much. It’s a learning process and no one gets it consistently right in the beginning. Don’t be afraid of the mistakes. Have fun. Once you’ve taken the first big step, your first batch, you’ll see that making soap is actually pretty easy. Follow the safety guidelines and you’ll be making soap in no time. If you’re anything like me, you’ll be giving it away (or maybe selling it) for an excuse to make more. It is a great way to share your love of all things natural and always a welcome gift. Thank you for your comments Jewls. I’m sure it helps others to hear that it’s not just me saying go ahead and jump in and give it a try!! 🙂 It is really fun – a creative outlet for sure. Thank you so much for such a great step-by-step. I, too, have been reading tons and trying to wade through so much information on making my own soap. After reading your post… I think I’m ready to make the leap and do it. Appreciate it! I plan to make your recipe #5, but I need an idea as to how many bars it will make? I’m prepared in case I need to buy more. Also…how long was the entire process the first time you made the recipe? I want to make sure I give myself the needed time with no interruptions. Making home-made products is sooo fun! I first began making my own laundry soap, then bath soaps, and now shampoo bars! It’s all so addicting…a natural high! A 12 slot mold usually makes 3 lbs, or 12 – 4oz bars. That recipe is made for 2 lbs. You will have enough space in your mold. You want to allow 3-4 hours for your first time making soap. I still take a few hours, even after hundreds of batches, but that’s because I’ll melt my oils, and then go and do something else while it cools to 90-100 degrees. Coming back some time in there to pour the lye into the water so it can start to cool as well. So, even though you need that time, you’re not standing over it that whole time. Use a cold water bath to cool things faster, and don’t forget to pour the lye into the water outside! You don’t want to breathe those fumes that come off for the first 1-2 minutes. tax refund. I just want an idea if it’s at all possible. Wow, I don’t know. Think of it as an investment for a lot of bath and body recipes. You won’t use all of your ingredients. You’ll have oils and butters left over for lip balm, lotion, shampoo bars, and body bars. So, up front cost can be a little more, but it pays for itself soon. Do a search for items on Amazon. Try Bulkapothecary.com as well. I’m really old, so making soap was part of my childhood on the farm! Both my Mom &a Dad made scrubbing soap and it was just great for anything greasy needing to be clean. Maybe I can help with some things..this is way too much “Little House On The Prairie!! Line your forms with a dbl. layer of cotton muslin or cheese cloth. Helps release easily. We made soap after butchering season because of all the fat by-product, fall. We never made it inside. Some butchers will sell you unrendered fat to be boiled down..again, outside! Smoked! To cure it kept in a cool spot with the homemade wine all winter. I so admire all of you! This is honestly the best site I’ve seen to explain making soap to a beginner. Thank you ! Hi Kelly, I enjoy reading your processes in cold method, but I have the following observation: 1. You don’t measure the concentration of the lyr with hydrometer. 2 the volume of the oil per lyr is not given. Likewise in making the solution of the caustic, I expect the ratio if the caustic and water should be given in cm3 for easy measurement. It’s not necessary to measure the concentration of lye. There are standard tried and true measurements that can be calculated using the SAP of the oils and doing some math OR using a handy dandy soapmaking lye calculator. Measurements are given in ounces. If you need to convert them, you can enter them online for help. Same for water: easily convert to other measurements by using online calculators if necessary. Here in America we commonly use ounces, which is why you will find those measurements on my website. Hey Kelly! I’ve been stalking your site the past few weeks, got your book, got all the ingredients and finally had the courage to make my first batch of cold process soap! everything worked out great for me and it looks like it is hardening up quite well in my silicon molds. As for curing, I have read in your book that it takes 4 – 6 weeks but how do i know when it’s really ready? 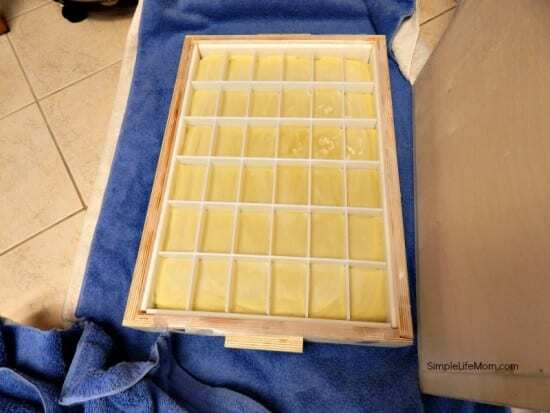 I read on other sites online that i can weigh my soap every few days and when the weight plateaus, it is done, is that right and is that the only way? Half of curing is losing some water weight. Thata what youd be measuring with weighing them over time. Instead, just use your fingers. If it’s hard to your liking then you’re ready to go. Curing until the lye has been fully saponified is different. That can take 48 hours to 3-4 weeks. We say wait 4-6 weeks to be safe AND have a hard bar. Ph testing is extremely hard to get right. It’s best just to wait a few weeks. Another question about curing – you mentioned to leave it on a shelf to cure. I have 3 animals and fur all over my house. i was thinking of leaving them in a cupboard i rarely open. Will that provide enough ventilation? Thank you so much. I found all your information very well explained. Where do you get the recipes? Click on the soap tab above and go to the recipe section. No, babassu oil or palm oil are good replacements for lard or tallow but you still need to run it through a lye calculator.